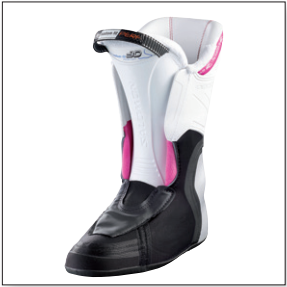 Description: The Salomon QST 70 Women's Boot is wide, has a ski walk mode and is softer flexing. Designed for comfort. Ski walk mode means you will not have your calf bruised while walking to the lodge and the boots are easy to take on and off. This boot is about a gentle fit. Best for: Women who like the feeling of sandals rather than shoes. Women who are usually pretty mellow skiers. Women with really wide feet.